Pressure cooking has gained a lot of popularity lately, and for some it’s an intimidating cooking method. The truth is it’s actually a very easy, simple, and convenient way of cooking once you try it a few times. 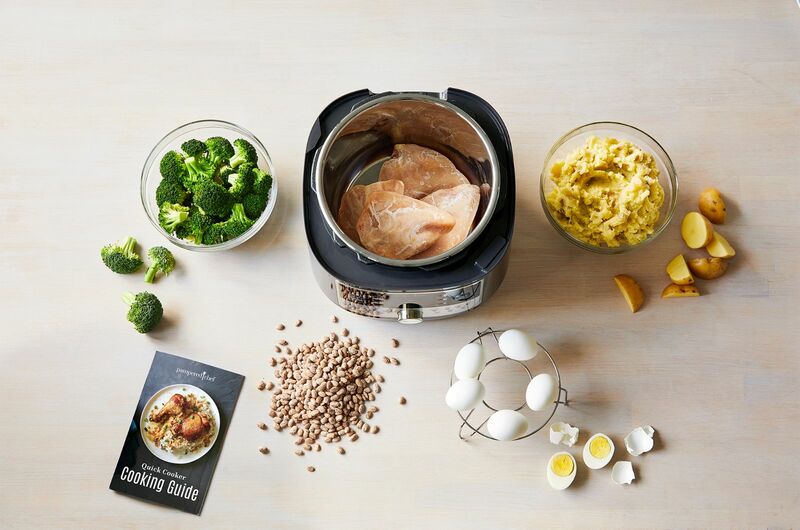 Pressure cooking just means you’re cooking with pressure. When you increase the pressure in the pot, you increase the temperature of the liquid and steam—and higher pressure equals shorter cooking time. Pressure cookers today are so advanced that all dinner takes is a little prep work, pushing a button, and letting it cook. The first time you use a pressure cooker, there’s a few things you want to do. First, get familiar with the settings. 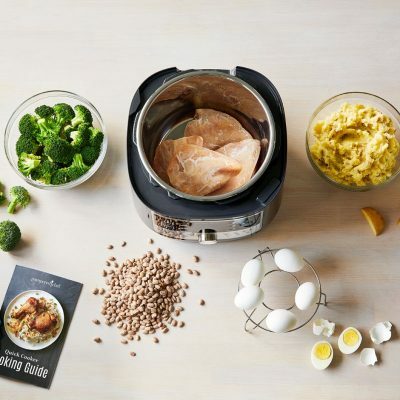 The Quick Cooker has 16 easy-to-use functions that will help you make fast, fresh meals. Once you understand how those functions work, you’ll want to get to know the inner pot—it’s the removeable pot inside the pressure cooker where you cook your food. 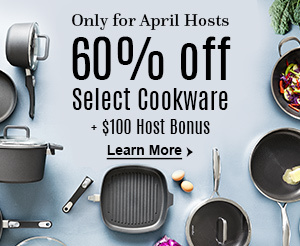 You can sear meat, cook veggies, and proof bread, and more in the inner pot, or use it as a base for a wire rack and cook hard-boiled eggs. It’s the ultimate tool for making one-pot meals. Plus, you can remove it after cooking and place it in the dishwasher for easy cleanup. Finally, become familiar with how the steam release button works. When you’re pressure cooking, the recipe you’re following should tell you if you should manually release the steam, meaning you need to push the steam release button after the cook time is up. Or it will tell you to let the steam naturally release for a certain amount of time, meaning you should let the steam release on its own and only push the steam release button after the time is up to make sure the steam has been completely released. The steam is extremely hot, so make sure the valve is positioned away from your cabinets and body when you press the steam release button. After you get familiar with the pressure cooker, the only thing left to do is cook. Here are three easy ways to get you comfortable with the pressure cooker. Get to know the settings and try making beans without soaking. You can make a fresh pot of beans in the pressure cooker in no time. Beans can make a simple side dish or an element of a main meal. Just add the beans, water, and a dash of oil and pick the beans setting—it’s that easy. Add 1 cup (250 mL) of pinto, black, or navy beans to the inner pot of the Quick Cooker. Add 3 cups (750 mL) of water, and 1 tbsp (15 mL) of oil. Lock the lid, select the BEANS setting, and press START. Get familiar with cooking times. This handy cooking times guide is great to bookmark or pin and use as a resource to know exactly how long to cook your food, how much water to use, and how to time the steam release on all sorts of beans, grains, rice, vegetables, and meats. Try customizing. Next, use the custom setting and make hard-boiled eggs. Pressure-cooked hard-boiled eggs come out perfect every time and are so easy to peel. They make a great breakfast, snack, or even salad topping. It will only take you a few steps to get perfect hard-boiled eggs. It’s important to note that when you use your pressure cooker you have to add liquid, so it can come up to pressure and cook the food properly. Place the wire rack into the inner pot of the Quick Cooker. Add 1 cup (250 mL) of water to the inner pot and place 6 eggs on the wire rack. Lock the lid and press the CUSTOM button. Press the TIME button and use the (–) button to adjust the time to 12 minutes. Press START. Make a quick dinner. If you’re looking to see how easy dinner can be with a pressure cooker, these Quick Cooker Salsa Chicken Lettuce Wraps are the perfect recipe for you try. With just three ingredients and 30 minutes, you can have dinner on the table. This recipe is simple and delicious, but the crazy thing is you can even start it with frozen chicken. Season 2 lbs. (1 kg) of boneless, skinless chicken breasts with 2 tbsp (30 mL) of your favorite taco seasoning. Place the chicken in the inner pot of the Quick Cooker and cover with 1 cup (250 mL) of chunky salsa. Lock the lid, choose the CHICKEN/POULTRY setting, and press START. Chop the chicken and serve in lettuce wraps or on tortillas with your favorite toppings. Not convinced you need an electric pressure cooker? Here are five reasons you’ll want to buy one. I have a bag of frozen soup that is usually done in a slow cooker. Can the frozen soup be cooked in the cooker fast on a different setting? Found this on line…Use the pressure-cooker function and a frozen block of soup or broth will be ready to eat in no time. Add frozen soup straight into the Instant Pot insert, set the timer to high pressure for five minutes, and then release the pressure using the quick release method. If I want to make more than one cup of beans, do I need to increase the cooking Tim, pressure, water or all three? Probably just time and water! What PSI are each pressure level, I have an old cookbook that references PSI not levels. The first recipe i made in the quick cooker was awful. I cooked the chicken to death. I had made some modifications to the recipe. I wasn’t giving up though. Next, I made the PC carnitas recipe and only made one change to the spices and it was a hit. Since then I’ve made hard boiled eggs, homemade chicken noodle soup, and Greek yogurt and I’m hooked! I find myself looking for more recipes and ways to use my quick cooker now. It’s definitely a keeper! I don’t have a Pampered Chef electric pressure cooker, I do have one electric pressure cooker that I will keep anonymous, and two stove top Fissler pressure cookers. I use them regularly. What you have to understand about a pressure cooker is that it is a pot. It is also a pot that produces pressure because it will seal up and hold that pressure created by the steam of the water included. From the most antique “rattle top” to the newest electric “automatic” pressure cookers, they do exactly the same thing, exactly the same way, they cook food under pressure. A pressure cooker only speeds up the cooking time once it is under pressure, the higher the pressure achieved the quicker the cook time. it takes time to come up to pressure, and the amount of time depends on the amount of food and water (size of the pressure cooker and the size of the meal in it), and how much heat you can provide, either through a built in electric element, a induction cook top, or a regular conventional burner. Once the food has been enclosed long enough to develop pressure is when the time savings start, so very small batches of food or easily and quickly cooked foods benefit little from a pressure cooker, however one exception is tough foods, regardless of size. So, in short, the benefits of a pressure are twofold, they speed up traditionally slow cooking processes such as dry beans (without soaking), large cuts of meat such as roasts, and greatly enhance the tenderness of tough cuts of meat without manually tenderizing them first. They are exceptional for making tough cuts of wild game fork tender. The higher heat and pressure break down the fibers of the meat tenderizing it. Thank you for the excellent information. I have had a pressure cooker for quite a while and haven’t used it due to not knowing exactly when it would benefit the food to use it. My Mother used an old fashioned one on stove top when I was growing up so I know how at least that type could be dangerous. I will try this now and I appreciate your detailed information. Thank you for these, very simple, directions to follow. Easy Peary! Love the recipes as well. Again, thank you so much, from someone who is insecure in the kitchen.